The Australian Securities and Investments Commission (ASIC) has certainly been active in its enforcement of compliance procedures recently, and has demonstrated a distinctive move toward tightening up the regulatory environment in Australia in general with its surveillance of firms’ conduct having resulted in two successful enforceable undertakings in April this year. Although compliance is one area in which ASIC is showing its commitment to enforcement, the Australian regulator has demonstrated that it is also keen to root out dishonest and misleading schemes, having last Friday banned the former CEO of the Lifestyle Group from providing financial services for three years. In this case, Murray John Priestley of Benowa, Queensland had presided over the Lifestyle Group of companies between April 6, 2009 and December 9, 2011, during which period he made misleading statements to a client when he guaranteed the client that the ‘Aussie Rob Lifestyle Trader’ forex software was not based on moving averages, when in fact he did not know how the software worked, according to ASIC’s findings. Lifestyle Private Wealth Pty Ltd (LPW) was a licensed financial advisor, when it wasn’t, and that an individual financial adviser was part of LPW and had the authorizations to determine the suitability of Elite Investor for potential investors, when this was not the case. In addition, ASIC also found that Mr Priestley authorized inadequate, conflicting and confusing information about Elite Investor to be given to potential investors. Deputy Chairman Peter Kell said that company officers in the financial services industry have a duty to ensure that their organization is meeting the obligations placed upon them. “This matter shows that company officers in the financial services industry, as important gatekeepers, need to ensure that any promotional information provided about their products is factually correct and does not mislead consumers” said Mr Kell in a statement made by ASIC on the matter. ASIC found that Mr Priestley did not have a proper understanding of financial services laws and that he is not competent to provide financial services. Forex Training Software – Legitimate or Not? Opinions often vary on the validity and legitimacy of forex training courses and software associated with such courses.  Many providers of courses are small companies, often sole traders which generate their revenue via IB commissions for introducing their course delegates to brokers, sales of their training software and the course fees, which are often expensive and have until now largely escaped the scrutiny of regulators. It is often not possible to quantify as to whether such trainers are trading in a live environment or using a demo account, a further cause for concern. There have been publications made by trading standards organizations aimed at dissuading prospective delegates from taking up courses or buying the associated software, however despite offering trading strategies, which could be construed as financial advice, such organizations have by and large slipped through the net – until now. • Aussie Rob Financial Services Pty Ltd (ARFS). LIS was licensed by ASIC to provide financial product advice, and deal in financial products including derivatives, foreign exchange contracts and securities from 11 August 2008 until 26 July 2012. Trader was an authorized representative of LIS from 10 September 2009 until 13 December 2011. 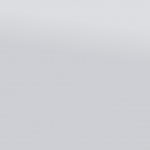 Trader sold forex trading software and training and provided general advice to clients. The software sold by Trader was first promoted in Australia in about 2006 by Mr Wilson and ARFS as ‘Aussie Rob Lifestyle Trader’ (the ARLT software). From the end of January 2011, LIS promoted a new ‘Elite Investor’ program, which involved financial services to be provided by LIS and by an authorized representative of Independent Adviser Group Pty Ltd (IAG). On August 8, 2011 ASIC accepted an Enforceable Undertaking from LIS, Trader and Mr Wilson after finding statements made in marketing the ARLT software were false and misleading. 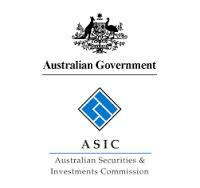 On February 9, 2012 ASIC suspended the Australian financial services (AFS) license of LIS until 7 February 2013 due to concerns that LIS had not complied with conditions of its license and had not complied with financial services laws. On April 16, 2012 ASIC obtained orders in the Supreme Court of Queensland to wind up Trader. On July 26, 2012 the AFS license of LIS was cancelled following an application by LIS. Looks like the ASIC actually does some investigation. The US CFTC usually shoots first and then asks questions later when they go after a scam. Is this intentional, or just ASIC has less staff, or just a lower incidence of criminal activity? Sucked in Rob Wilson aka “Aussie Robber”. As a former LST client, I am more than pleased to see you finally got what you deserved! I loathe to wonder how much money your fraudulent products and advice cost the hard working ordinary people you targeted. THANK YOU ASIC. Does my name ring any bells Mr Wilson?